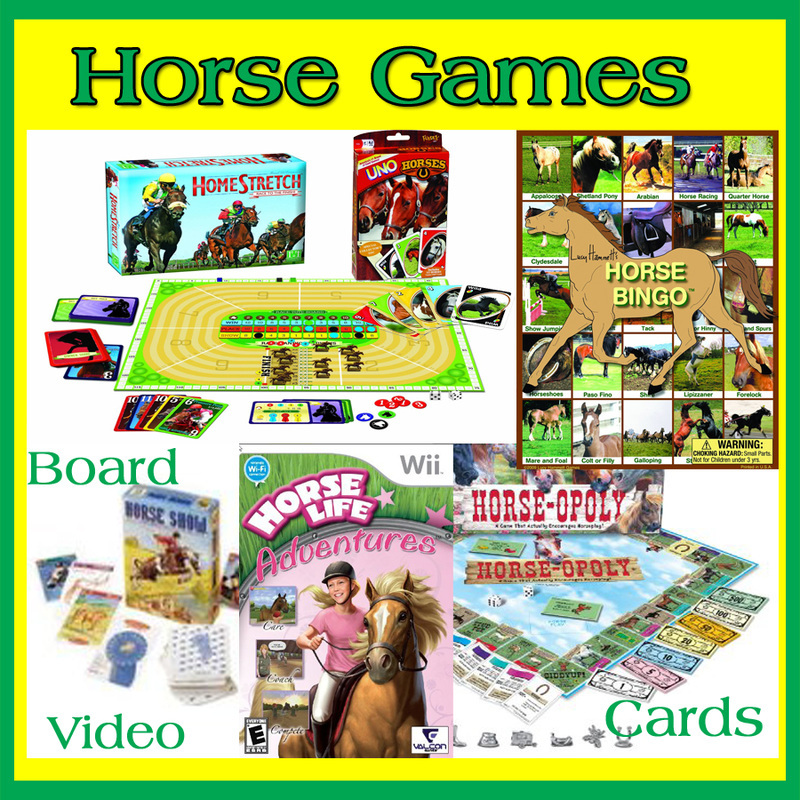 Schleich Horses, stables, play sets, Bayala horse collection, ​Eldrador Knights On Horses and western riding toys. 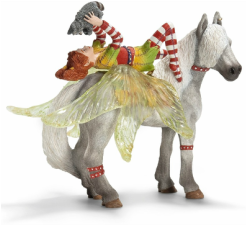 If you are considering horse toys and play sets to play with or even collect, have a look at the great toys from Schleich. You will see whats new for 2015. There are stables, horses, riders and lots of accessories. I have also included horses from the Bayala Collection and Eldrador Collection. All of these are rated well by previous customers and there is something here that girls or boys will enjoy. This Schleich Horse Stable is new for 2015. ​​ It is made of high quality plastic and assembles without additional tools. There are horse stalls, hay racks, water troughs and places to hold saddles and bridles. The roof windows will open and close. The roof will also come off to make a separate covered arena. There are some additional accessories such as horse feed and saddles. There are more pictures of the different stable configurations using what is included. This arena play set is available separately if that is all you need. 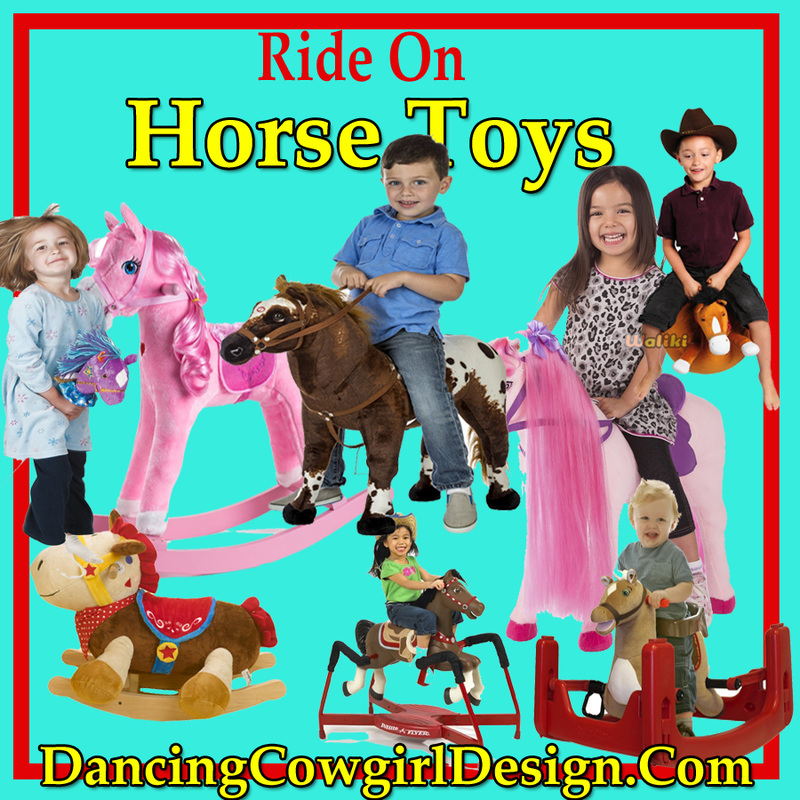 The riding arena play set is complete with figurines and accessories. It is also made of high quality plastic and the figurines are hand painted. A Camargue Stallion, mare and foal come with this 3 stall stable. The stalls have dutch doors and there is a tack room with double doors. 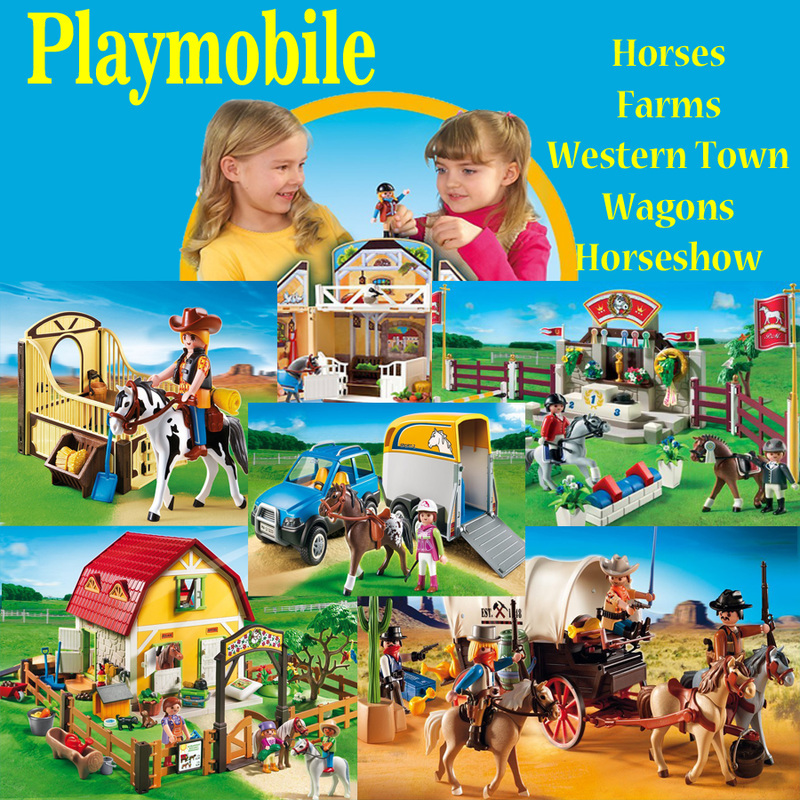 Have a good time at the horse show with this highly detailed play set. 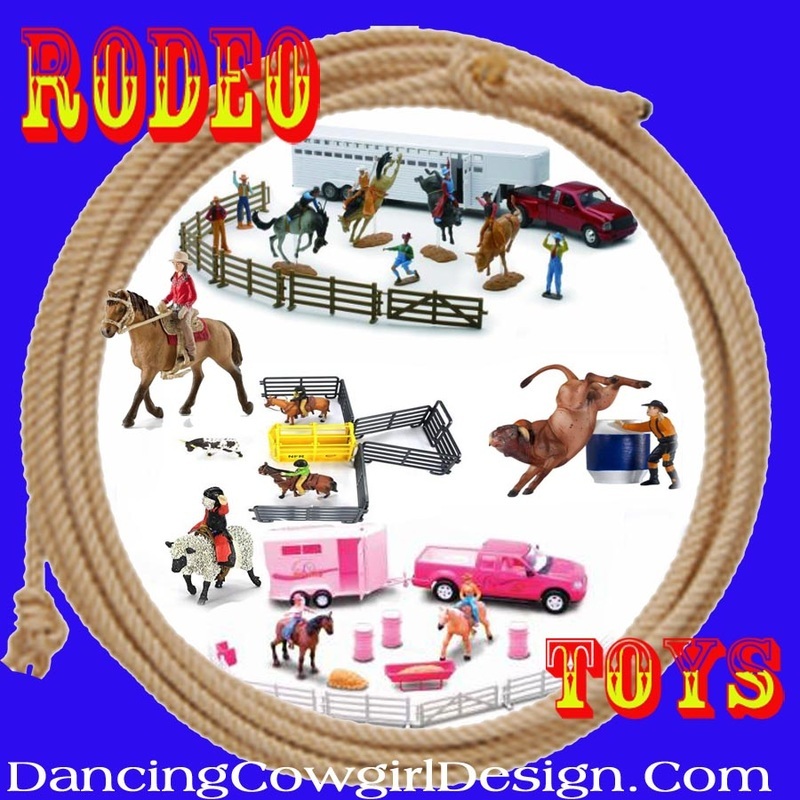 ​ It is made of plastic and includes hand painted horse and rider figurines. Another new set from Schleich. This one includes a Trakehner Stallion and a Trakehner foal. It also comes with a little girl figurine, fencing, carrots and hay bales. ​A horse wash area with will be a nice addition to any stable sets or individual pieces that you have. It comes with the horse, horse trainer and and various other accessories. It is also hand painted. 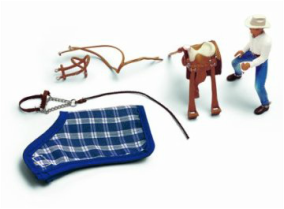 The Western Riding Play Set includes a female rider with her horse , dog and a Black Angus calf. 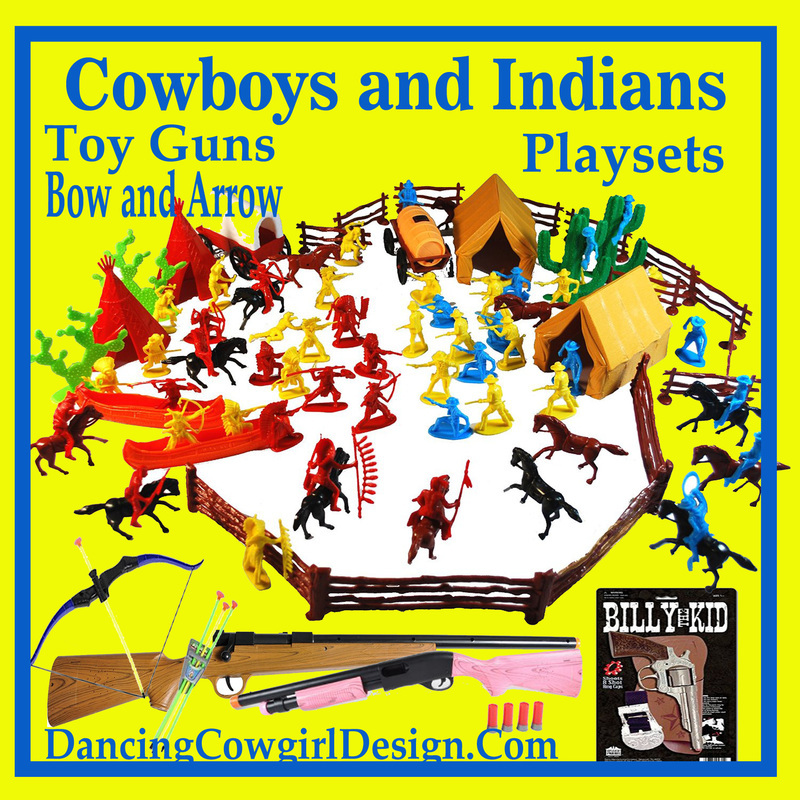 There is a similar cowboy toy set that includes a male rider, saddle, bridle, halter and horse blanket. ​This one does NOT come with a horse. From the display photo on the left, I was able to find the horse that is paired with the cowboy. The horse is available separately. 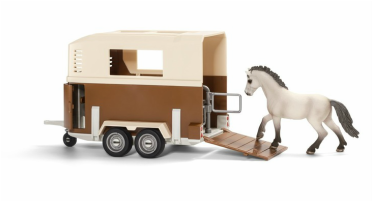 When you are ready to load up the horses for a day at a horse show or rodeo, Schleich has you covered. There is a 2 horse trailer that has room for horses and a compartment for saddle and other tack. It will attach to most Schleich vehicles. ​The horse trailer reminds me of one of the coloring pages that I made from a picture of our horses getting ready to load up. You can get this free printable page and other horse related coloring pages right here. Schleich produces other fine hand painted horse toys. The following are based on the book Bayala, the Daughters of the King Elf. ​This is an English version of the book by Gecko Keck's. ​There is a beautiful group of horse figurines in this collection. They also have the elves alone, fairies, other characters and play sets for delightful fantasy play. These are hand painted and have wonderful detail. Here you will see both sides of the Schleich Eyela on Horseback. These are a good choice for kids who enjoy the world of knights and castles. Each of these 3 have movable arms or wrist and stay in place on the horse with a magnet. There are some other knights on horses as well as other figures, accessories and play sets. See all of the Schleich Kinghts On Horses.